Tooth extractions are one of the most commonly performed oral procedures. While recovery is generally fast and usually takes between three and four days, many people have a fear of what tooth extraction procedures entail. In today’s post, we’ll walk you through what you should expect from a tooth extraction procedure. 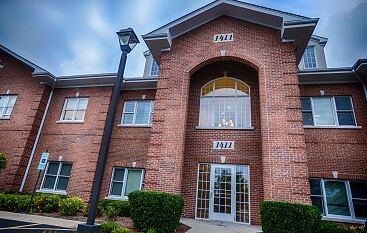 If you’re interested in learning more about tooth extraction procedures or are thinking about scheduling one for yourself, contact North Shore Oral & Maxillofacial Surgery today! 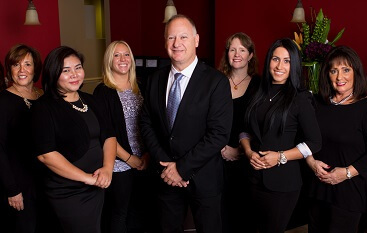 Our friendly staff is more than happy to help you with any questions you may have about tooth extractions. Overcrowded teeth can become damaged and, in severe cases, cause problems with speech, eating, and drinking. 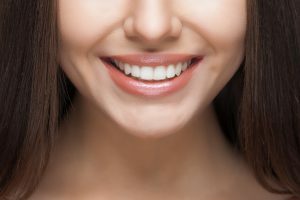 Removing a severely damaged or out of place tooth can also provide your dentist with opportunities to align the rest of your teeth that are made difficult or impossible by an overcrowded mouth. Milder cases of overcrowding are often treated for cosmetic reasons. Decay and damage are by far the most common reasons that a tooth needs to be extracted. While mild cases of tooth decay and damage are treatable without requiring extraction, severe damage to a tooth and its nerve endings will often require a tooth extraction. If a tooth has been severely damaged by decay, it’s often better for your long-term oral health to have the tooth completely removed. Failing to floss and brush your teeth properly can allow gum disease to severely damage your gums and the other tissues surrounding your teeth. Moderate and severe cases of gum disease can lead to a weakening of the tissues surrounding the teeth, and teeth that are too loose may need to be removed. Many people are anxious prior to a tooth extraction procedure, and this is completely understandable. Dentists and oral surgeons regularly perform this procedure, and you should know that the risks of tooth extraction procedures are minimal. Your oral surgeon will likely give you a local or global anesthetic, depending on your circumstances. If your wisdom teeth are being removed or if you are having multiple teeth extracted, you will more than likely be given a dose of global anesthesia. The extraction will be performed and you will likely wake up feeling disoriented and confused, but this is completely normal and the feeling will quickly subside. 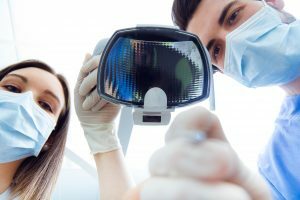 Regardless of whether your tooth extraction procedure was performed using local or global anesthesia, it’s crucial to ensure that you have a safe way to get from the surgery site to your home. Recovering from a tooth extraction procedure generally takes no more than three or four days, although you will likely experience some discomfort for roughly a week. Your eating and drinking abilities will be limited, and you’ll want to eat soft foods that won’t require intensive chewing. Applesauce, lukewarm soup, and ice cream are all great food options for recovering patients. Using an ice pack in intervals will greatly reduce the swelling and pain that you experience after your procedure. Try using an ice pack for 10 to 15 minutes on your mouth and then removing it for 20 minutes. Repeat this procedure for the first 24 hours after your procedure, and then incorporate the ice pack into your day as needed. You will likely be prescribed a painkiller, and it’s important that you take your prescribed medication with food and plenty of water. It’s also important that you do not use a straw when drinking liquids, as straws create a vacuum in the mouth that can dislodge any blood clots that have formed, resulting in severe and painful bleeding. Avoid brushing your mouth around the procedure site for the first 24 hours after your operation, and after that, make sure that you’re brushing in a gentle and careful manner. We hope that you’ve enjoyed this post and are now more familiar with what you should expect from a tooth extraction procedure. If you have any questions about a recently performed tooth extraction or you would like to schedule a tooth extraction in the future, contact North Shore Oral & Maxillofacial Surgery for more information. 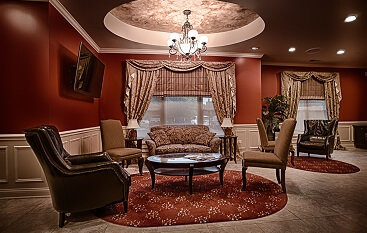 We proudly provide Buffalo Grove, Illinois with bone grafts, wisdom tooth removal, tooth extractions, and so much more!